Brand reliability is one of the key factors in assessing consumer trust, which is a key to the success of your brand. It is based on the consumer’s belief that the brand can accomplish its value promise. In its root form, reliability is the expectation that the brand will consistently perform as envisioned by the customer? Beliefs about brand reliability evolve similarly as how trust is formed in interpersonal relationships. That is, trust grows in a newly formed relationship based on the consistent and predictable actions of the participants. When people act in accordance to the expectations we hold of them, we come to trust them. Likewise, when the products we use from a brand reliably perform, we come to trust the brand. For brands invested in long-term relationships and recurring customer purchases, providing reliability is central to success. People are not going to repurchase computers, laundry appliances, televisions, or vacuums from brands that have faulty and unreliable performance. When a product works day in and day out, the customer comes to trust the brand. But what happens when a customer has no history or direct experience with a brands product? 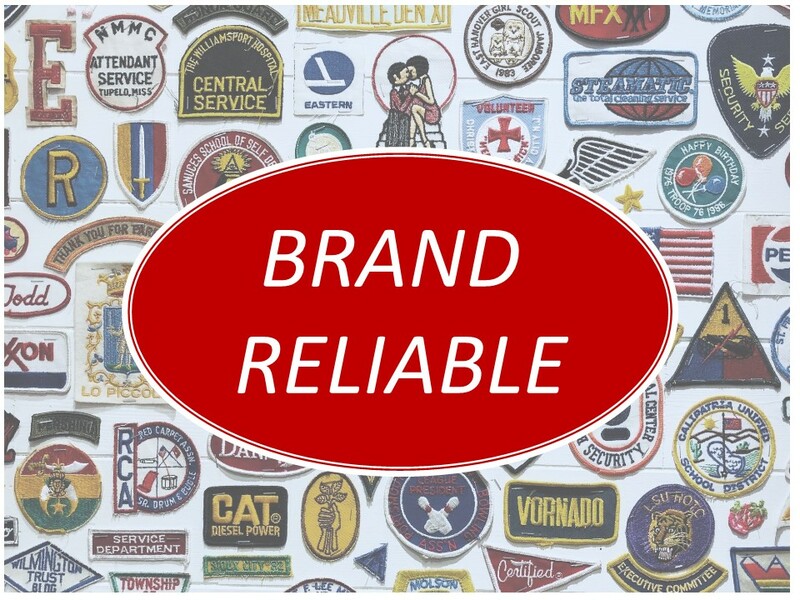 How do brand reliability beliefs get formed pre-purchase, pre-relationship, or pre-experience? As discussed in our post Reputation: An expectation of trust, people will often turn to others who have direct experience or knowledge to assess brand trust. Brands with a positive word of mouth reputation will be at an immediate advantage since people forming reliability beliefs may come to be exposed to these brand advocates. Brand managers will also turn to the world of advertising and marketing as a means to influence the creation of trust beliefs. Advertising tends to fall into a few different categories when it comes to establishing brand trust. One realm are those messages aimed at assuring future customers that they will be nothing less than satisfied with a product purchase because of quality features and design. Maytag is a brand that consistently earned the trust of appliance shoppers by emphasizing the quality included in their products, originating with loneliest repairman advertisements begun in the 1960s and continued today with their face of reliability campaign. Another realm, and the far more emotive approach is transporting people into the brand itself by crafting persuasive campaigns that evoke the desire of people to be part of and affiliated to a brand. The success of these campaigns is grounded in understanding the needs of the audience through influence profiling. Brand campaigns often are concerned with expressing the character and values by which the brand operates. In this regard, these advertisements communicate that people can trust the brand because it will consistently live the brand tenants they espouse. In other words, the brand can be counted on and reliable because the company stands behind the brand values. Every Trane is Tested To Be Unstoppable is an example of using advertisements to establish brand trust through messages of reliability. (Trane has received America's Most Trusted HVAC System four years in row). Do you know if your brand is seen as reliable by your target audience? What messages and features are critical in forming trust with those you serve? Will your advertising campaign resonate with people and build perceptions of trust and dependability? Among those people that know of your brand, or have used your products, do they trust your? To identify America’s Most Trusted®, Lifestory Research conducts the most extensive survey in America in which people anonymously assess the trust they have in brands they encounter during their active search for specific products. In the most recent study, we rank the trust of brands in home building, kitchen appliances, heating and air conditioning systems, laundry appliances, residential brokerages, active adult resort builders, faucets, and household paints. Lifestory will be publishing the most recent results of the America’s Most Trusted study in January 2019. In addition to the brand categories noted above, the study has been expanded to include the trust of brands in computers, televisions, vacuum cleaners, window glass, bedroom mattresses, as well as other brand categories. Contact Lifestory Research to find out where your brand’s trust quotient ranks against other like brands today or to learn more about America’s Most Trusted study click here.